Thai Buddhists participate in a procession to the top of Wat Saket, the "Golden Mount" in Bangkok. Wat Saket is one of the best known Buddhist temples in Bangkok. It's also called the Golden Mount because the temple's large golden chedi tops the man made mountain that is the base of the temple. 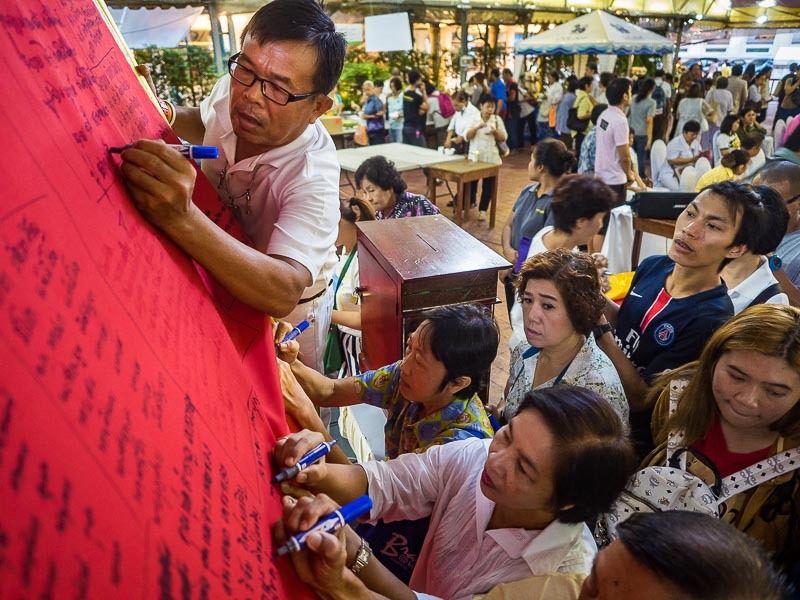 The man made mountain is an old cemetery used to inter the victims of a cholera epidemic that swept through Bangkok early in the 19th century. 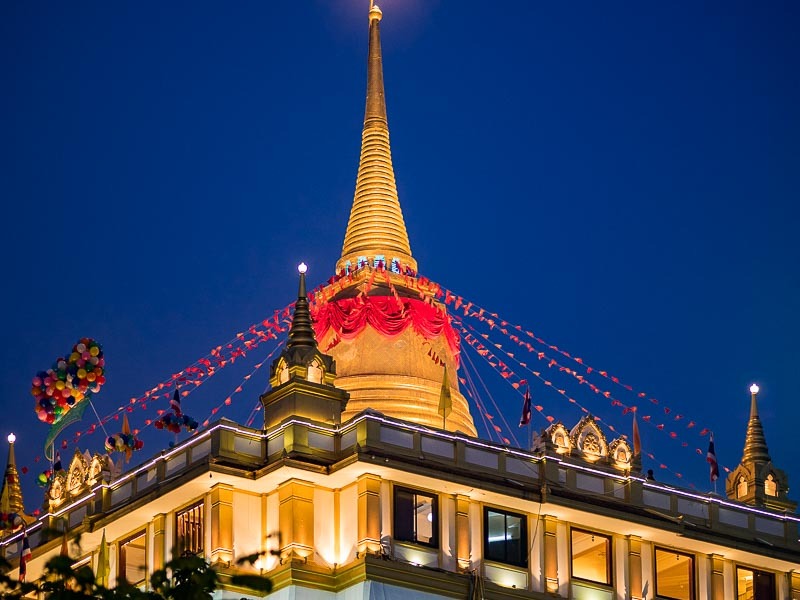 The golden chedi at the top of Wat Saket gives the temple its nickname, the Golden Mount. Wat Saket hosts the best temple fair in Bangkok. The streets around the temple are clogged with food vendors, midway rides, arcade games and good old fashioned freak shows. 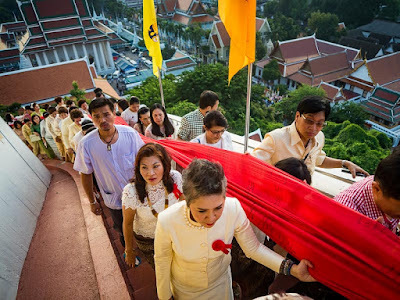 The procession to the top of the Golden Mount is the start of the Wat Saket temple fair. People write their prayers on the red cloth that the pious carry to the top of the Golden Mount. The procession is good opportunity to see the pious side of Thai Buddhism while the fair is an opportunity to see the raucous side of Buddhism. 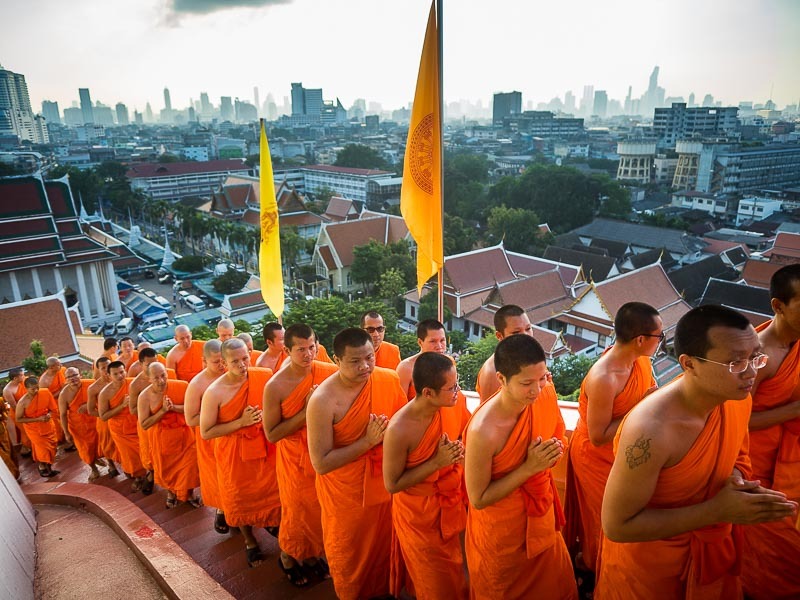 Monks lead the procession to the top of the temple. This used to be the highest point in Bangkok but the building boom of the 1960s permanently altered the cityscape. 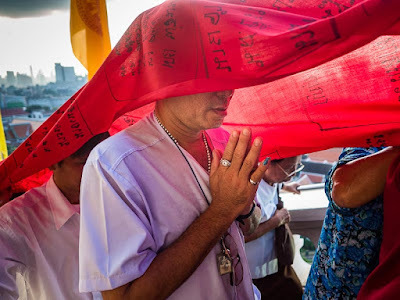 A man in the crowd prays during the procession to the top. 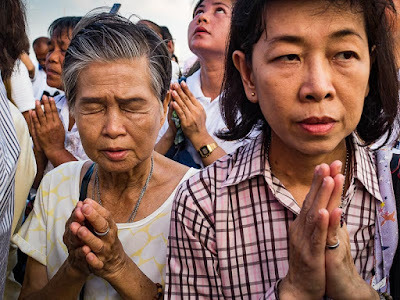 People pray during the service at the top of the temple. 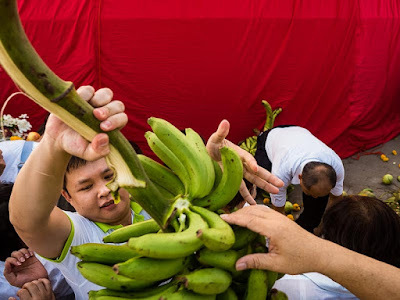 When the service ended people scrambled to get some of the fruit and flowers left at the chedi. There are more photos of the procession in my archive or available from ZUMA Press.